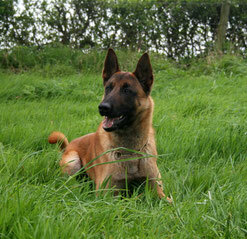 * Belgian Malinois have a great deal of energy and need a lot of exercise. Make sure you have the room and time to provide it. * Malinois are very intelligent and alert. They also have strong herding and protection instincts. Early, consistent training is critical! * Although they are good-size dogs, they are very people-oriented and want to be included in family activities. * Belgian Malinois are intense dogs that are play-oriented and sensitive. Training should be fun, consistent, and positive. * Well-socialized Malinois are good with children, especially if they are raised with them, but because of their herding heritage they may have a tendency to nip at their heels and try to herd them when playing. You must teach your Malinois that this behavior is unacceptable. An adult Malinois who's unfamiliar with children may do best in a home with children who are mature enough to interact with him properly. The Malinois (pronounced ma-lin-wäh') is one of the four varieties (Malinois, Laekenois, Tervuren, Groenendael) of the Belgian Shepherd Dog. The name Malinois came from the Belgian city of Malines, where this breed was born towards the end of the 19th Century. At the beginning, the Malinois was bred to be a herding dog. Because of his alertness and strong protective instinct, the breed was employed in the first and second World Wars and has been further developed to better suit military style of patrol, guard, detect, and search work. 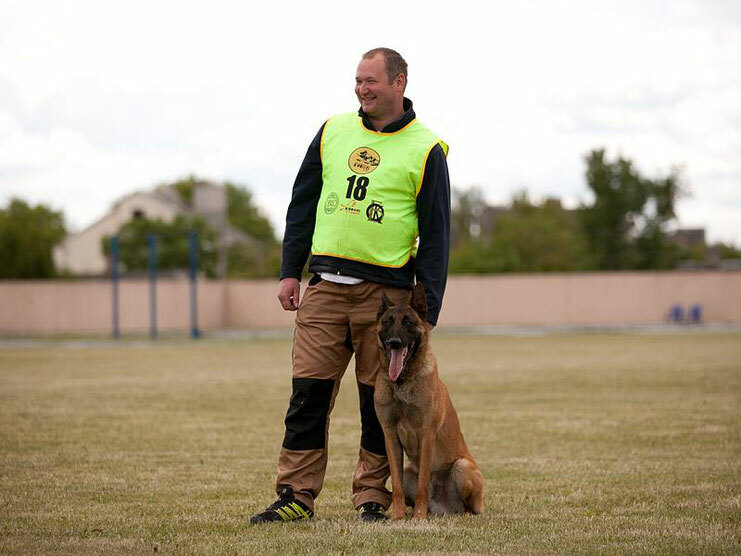 Currently, Malinois is used extensively in police, military, detection, security, personal protection, and competitive sports through out the world especially in Europe and North America. The Malinois is a bright, bold, spirited, energetic, and instinctual animal with plenty of drives. He is territorial and protective of his pack. The breed possesses a strong desire to work and is quick and responsive to commands from his master. He is wary of strangers but affectionate to family members. Malinois are very rapid learners, for both good and bad things. They need extensive exposures with a broad range of environments, people, and domestic animals from an early age, due to their heightened senses and guarding nature . A lack of early exposures might result as a shy, unsure, insecure, or overly aggressive dog. To bring out the best of their working ability, motivational training foundation from handlers with a high level of self control is highly recommended. Harsh, unfair, and erratic handling will create either a very stubborn and handler aggressive dog, or an overly sensitive dog always worrying about punishments from his master. Therefore, a Malinois owner should start educating his puppy from a young age, and develop a strong pack relationship with his dog. Malinois is a well-balanced, square-structured dog with a light frame. Despite their lighter weight comparing to a German Shepherd Dog, they are very fast, agile, and powerful. Whatever is lacked in size is made up by his courage, will, and speed. The dog is strong, muscular, alert, and full of life. Males are 60 to 67cm in height; females are 55 to 62cm; measured from the dog's shoulders to the ground. The length from shoulders to base of the tail equals to the height approximately. Bone structure is moderately heavy in proportion to height so that the dog is well balanced throughout. The weight of a male is about 28 to 35kg, with females a little lighter. The smooth, short coat of the Malinois is easy to groom. The basic colouring is rich fawn to mahogany, with black tips on the hairs giving an overlay appearance. Medium size ears are carried up right and pointed. His face is decorated with a black mask. Gait is free and effortless.